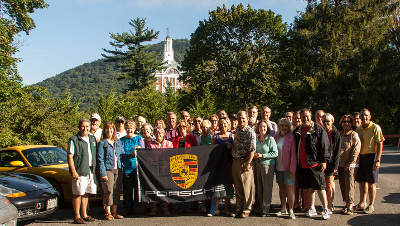 Thank you for visiting our Potomac Founders' Region, Porsche Club of America Web site. The Potomac Region of the Porsche Club of America began unofficially as “the gripe group” in 1954, and was the first officially chartered PCA club in 1955. Currently we have the largest membership in the nation (over 2300 members) and still growing! 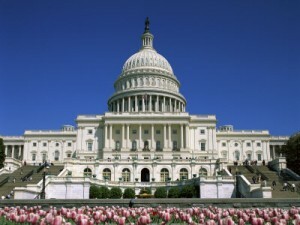 We are situated around our nation's capital. Our region includes parts of Northern Virginia and Southern Maryland, and all of Washington, D.C. The backdrop of our activities are some of the most historic picturesque vistas the nation has to offer; whether it's from rallying the eastern shores of Maryland, to driving the most majestic views of the Blue Ridge mountains and the Shenandoah Valley in fall, or gathering at one of Virginia's vineyards or Civil war era battlefields. The greater Washington, D.C. metro area includes a number of Porsche vendors and supporting services which offers us countless opportunities to stage Tech Sessions with trained Porsche professionals. Area restaurants offer some of the best dining and social venues for Saturday morning breakfast meetings, rallies, lunches or dinners. Our adventuresome drivers enjoy autocross at the Baysox Stadium in Bowie, MD so much that it's practically our second home. Our Driver's Education (DE) program enjoys close proximity to motorsports parks, located in Summit Point WV, or Virginia International Raceway (VIR). We have it all right here in Potomac! No matter what fuels your love of Porsches, we share it here in Potomac, and chances are you'll find likeminded Porsche lovers here too. So come out and join us! We're a very active club with over 2300 members. Some of us have been PCA member for over 25 years! If you have questions or need a helping hand, someone has done that before and is always willing to be part of your engine drop (refreshments are customarily offered to the free help of course). Don't know where to get started? Join us for one of our breakfast or brunch gatherings and meet dozens of current members. We will meet at City Grille in Manassas at 11AM. 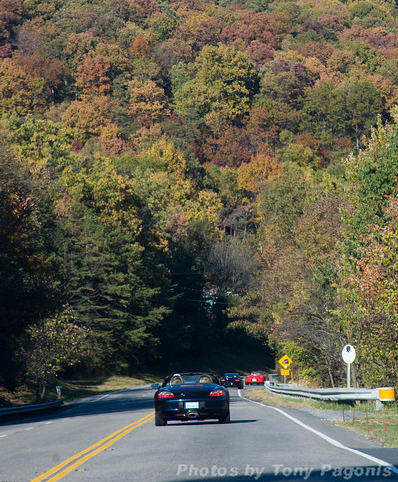 The City Grille is perfectly located just off of I-66 providing us rapid access to some of northern Virginia's best scenic roads. The City Grille has indoor and outdoor seating, a comprehensive menu of delicious breakfast and lunch meals, and ample parking. Pile everyone into the Family Truckster (or even a Porsche!) and come out for a great breakfast and make some new friends. 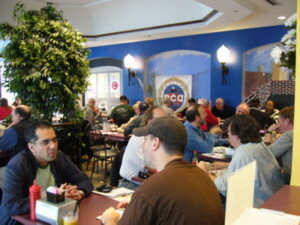 City Grille is located at 10701 Balls Ford Road, Manassas, VA 20109. We will meet at the Irish Inn in Glen Echo, MD at 11AM on Saturday. We have a private room upstairs, so just head upstairs. The Irish Inn is at 6119 Tulane Ave in Glen Echo, just off of MacArthur Boulevard, and can be easily accessed from the Clara Barton Parkway by taking the Washington/Glen Echo exit - the Irish Inn will be at the top of the ramp. Take the Clara Barton Pkwy exit from the Beltway and taking this South to the Glen Echo exit. From the Glen Echo exit, make a left at the stop sign onto MacArthur Blvd. northbound, and the Irish Inn is immediately on your left. There is parking in front and behind of the Inn, and there is additional parking up the road in front of Glen Echo Park. The Irish Inn website is http://www.irishinnglenecho.com and their phone number is (301) 229-6600. © 2019 All rights reserved. Porsche Club of America, Potomac Region.